With a burst of high octane creativity, jaw-dropping ideas, we create incredible experiences for brands and narrate stories that make it a revolution. While the world revolves around a bright light, we think about bending their minds around our ideas. And it so happens, our clients love what we do – whether it’s creating campaigns that turn viral, adding freshness to their websites or creating fresh digital experiences for people, just like you. Chiming melodies to fascinate your customers towards your brand is not one man’s play. We have our Rocking Team to execute our clients’ campaigns Flawlessly and Effortlessly. 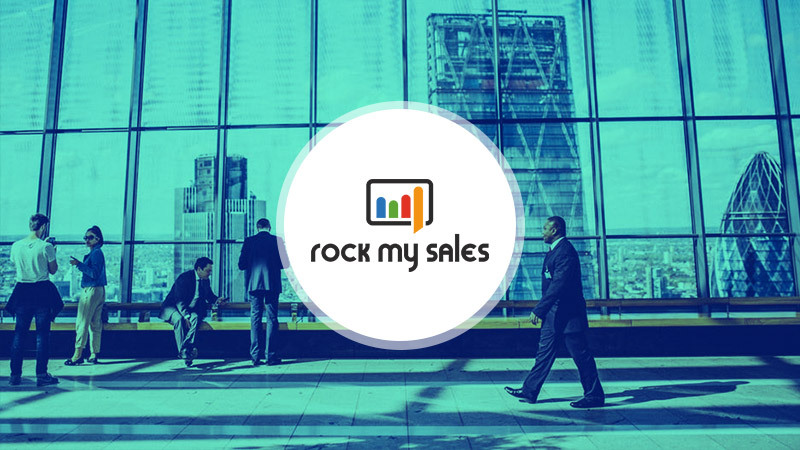 Hence the name, Rock My Sales. In short, at Rock My Sales, we nurture growth. Long story is described below! We’ve seen brands create utterly non-sense digital content and advertising and just “implying” their offline creatives to digital with no native strategy to the internet. We long wanted to change that! We want to showcase to our clients how digital marketing can help their brand grow & its importance in a brand’s journey. Evolution is a never-ending process. We keep up with it by drawing inspiration from all around us, following and keeping tabs of brands we look up to, enlisting classic strategies whilst brainstorming every now and then. Experimenting with unusual ideas with the team and successfully executing them is what we excel at. Social Media is the pool we swim in, and it is the same one that keeps us updated. As a responsible company, we understand that it’s critical to be transparent when it comes to a company’s CSR program, especially when harnessing social networking platforms. Hence, as an agency, we focus on the pros to excel at what we do and ensure a positive and safe experience for the people we meet virtually via our brands. Adapting. And adapting quickly. Digital is different every single day and our industry needs more people who are inclined to learning by themselves – be it a new writing style or new technology. We just cannot create a wave and not ride it! Both are equally important in this game. Just like change, we have learned that learning is a never-ending process. And like everything else, this know knowledge came at a price. We strive to work with three of our basic fundamentals in mind that is Flexibility, Smart work, and Dedication. Did we just share that? So many, we have lost the count! Still, if to share one, this would be the most common. When you wake up to a screenshot/mail from your client asking why this particular ad has been started and you have to explain to them that it is just a suggested ad preview. When will they learn? Let us name a few – Alankit, MADE EASY, Next IAS, Campus France, Theos, AECC Global, GIIS, Amydus, Colors, Moti Mahal, Wolters Kluwer, Noida International University, Pravasi Bharatiya Suvidha Kendra. As digital becomes the primary platform for advertising, it itself will evolve to be centered around content. Hence, good engaging content is what will drive the industry. Other than that, Virtual Reality is coming in more strongly than ever. With the virtual game getting even more real and we will have to get brands to fit in that space as well. (In our head)Ping! I guess someone mailed me! Oh wait, that would be a message. Hmm, seems none. Damn! the internet is not working. IT team, what are you guys doing? Yes. We are always on the lookout for people who want to Rock it all with their creativity.